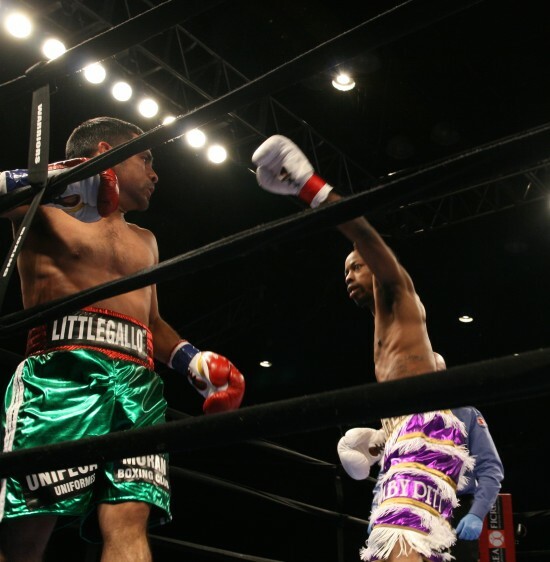 Campillo and Dirrell Get Back on Track with TKO wins in Shelton, Washington! Campillo cracks with the right hook. SHELTON, WA, August 2, 2014 – Never underestimate a former world champion. 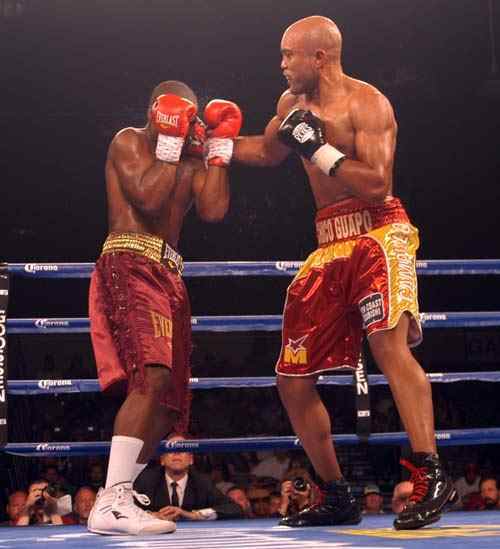 At one point in time former WBA title holder Gabriel Campillo had been on top of the heap in the Light Heavyweight division, but after a few disappointing losses his run as a contender in the 175 lbs. class had been seen by many as close to done. Coming into last Friday’s ESPN2 Friday Night fights main event at the Little Creek Casino in Shelton, Washington, he was being looked at as a stepping stone — a past-it name that would look good on undefeated prospect Thomas Williams’ record. But Campillo proved to be far from past it, schooling the young hopeful en route to a fifth round stoppage and claiming the NABO title and a spot atop the IBF rankings. The skill, determination, and experience were the difference in the fight as Campillo showed he had an edge over his opponent in all of those areas. The Little Creek Casino in Shelton, Washington is quickly becoming a premier venue for high level boxing in the Pacific Northwest. In the last year they have staged a number of high profile events including cards televised by Show Time and ESPN. This Friday, the venue once again hosts a show featuring some of the best up and comers in the sport with a stacked ten bout card, promoted by Goosen Tutor Promotions. SHERMAN OAKS, CA — ESPN Friday Night Fights will hit the Pacific Northwest this week as Goossen Tutor Promotions brings a full card of world-class professional boxing to the Little Creek Casino Resort in Shelton, Washington. Javier Molina Fractures Hand; Now, Thomas Williams vs. Cornelius White is Main Event for ‘ESPN Friday Night Fights’ on Jan. 24! SHERMAN OAKS, CA, January 9, 2014 — Highly regarded welterweight prospect Javier Molina suffered a fractured right hand in sparring on Wednesday afternoon and has withdrawn from his ESPN Friday Night Fights presented by Corona Extra™ showdown on JANUARY 24 with former world champion Kendall Holt it was announced today by Dan Goossen, President of Goossen Tutor Promotions.